In recent years, many new cult labels have positioned themselves around the $250 price point, causing the mid-priced contemporary designer market to become more and more lucrative. Take Ganni's street style–worthy mohair jumpers or Rixo's printed dresses (aka the unofficial uniform of the best dressed wedding guests). These $250-ish labels are a great way to invest in quality, durable pieces. These new-wave affordable It labels, now powerful players in the industry, are being courted by the likes of Net-a-Porter, which sells the mid-priced brands alongside high-end labels like Gucci and Prada. Here at Who What Wear, it's our mission to help you become a smart shopper and find the best pieces first, so we're sharing some of the mid-priced labels to note ahead of payday. Scroll through the gallery below to discover 10 of our favorite affordable designer labels. Budapest-based label Nanushka is a favorite on Instagram, as the vegan leather puffer jacket and croc-stamped belt bags have become cult buys. Copenhagen-based designer Stine Goya creates happy vibrant clothes—think painterly prints, rich color palettes, and wedding-ready dresses. Staud's plant pot–style bucket bag, the Bissett, has become a cult buy, but this Los Angeles–based brand does so much more than handbags. It's also our go-to for beautiful summer dresses. Rixo London is one of our favorite brands at Who What Wear, as we're obsessed with its vintage-inspired printed dresses and blouses. The label was founded in 2015 by friends Henrietta Rix and Orlagh McCloskey, whose line was picked up by Net-a-Porter less than one year later. Quite the fashion coup. To many of our readers, Ganni will need no introduction, as the colorful mohair jumpers and printed dresses have practically reinvented the contemporary brand space. This year, the Instagram set is getting behind London-based small jewelry line Alighieri, which creates the most amazing gold medallion necklaces inspired by Dante Alighieri's The Divine Comedy. Designer Rosh Mahtani explains on her website that she wanted to create modern heirlooms inspired by literature. 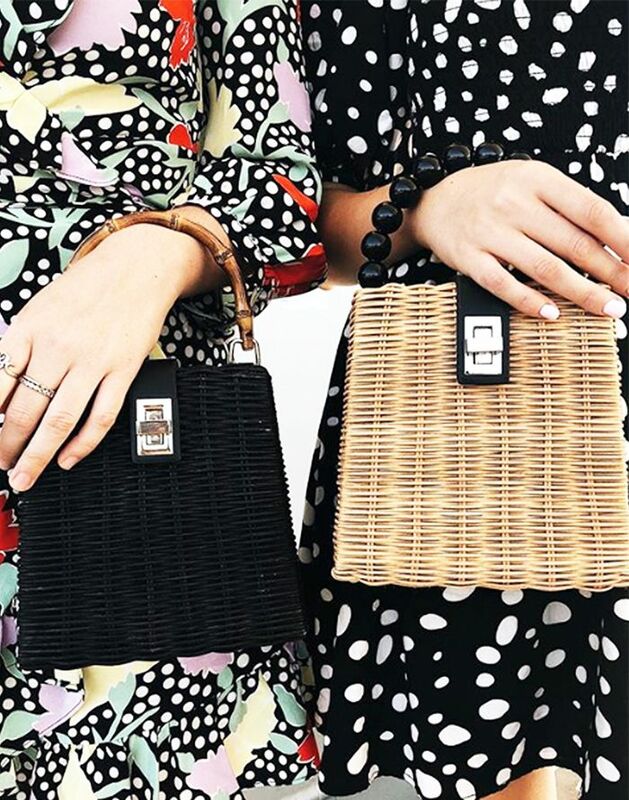 When it comes to handbags, one of the labels we're most excited about is Danse Lente, which makes the street style–famous handbags that sell out in a matter of weeks (if not days). We have a special place in our hearts for affordable designer shoes, and Korean brand Yuul Lie's sculptural heels and flats look like works of art.